Graded GOOD 30 by SGC. Attractive Ty Cobb (red background) card from the legendary T206 White Border set. The T206 portrait of Ty Cobb set against a brilliant red background is considered by many collectors to be his single most classic card. 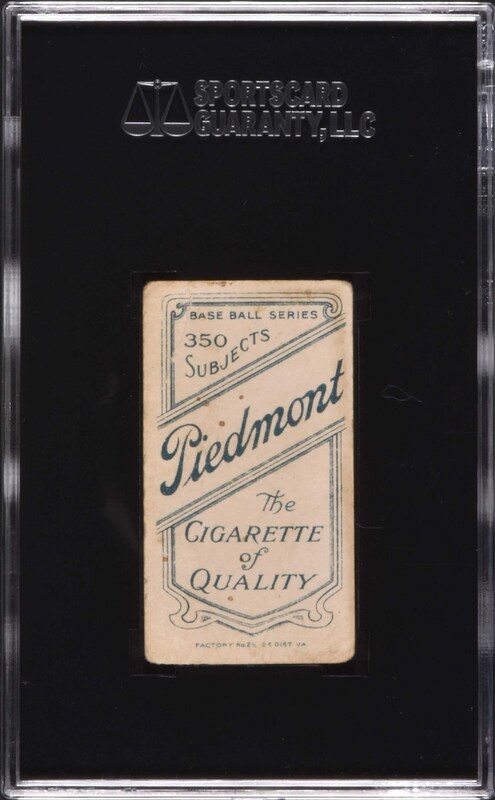 It is one of the most recognizable and popular of all vintage baseball cards. The offered example has evenly rounded corners, perfect registration, and creases in the upper right and lower left portions of the card. The Piedmont reverse is boldly printed. 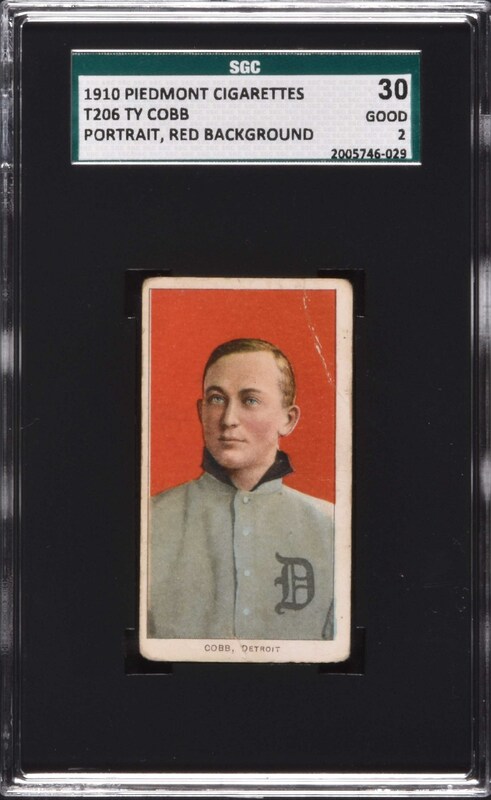 This card provides an excellent opportunity to acquire an appealing yet relatively affordable alternative to a far more expensive higher-grade example of this classic Ty Cobb card. Reserve $400. Estimate (open).